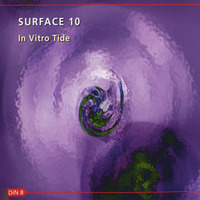 Surface 10 is nothing less than a pulsing, reckless tour de force of spiky, punchy beats welded and fused with white noise, grunge guitar, dislocated voices and a swaggering disregard for somnolent sine wave culture that permeates much of todays Electronica. With a glistening, extrovert production, the album is a cavalcade of ideas which fly off like sparks. The dense layers of texture are frequently parted to reveal astonishing knots of wry melody lurking deep beneath the surface of the album. Each track slides from one oeuvre to another in a dazzling, almost precocious attention to detail which offers much in the way of rewards for repeated listening.